Put your compassion into action – become a volunteer! 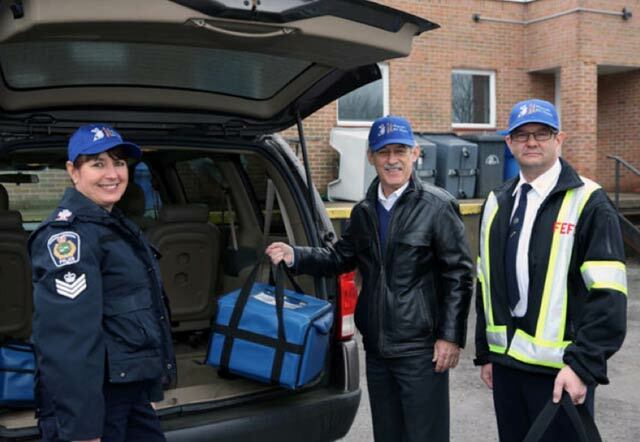 Volunteers play a vital role in all of the services offered by Meals on Wheels. If you would like to assist your neighbours, friends and people in your community, we would be delighted to have you join our volunteer team. Time commitments are flexible and can be arranged to accommodate your schedule and location. Agency policy requires all volunteers to have references and we may require a police check. Volunteers are offered training and opportunities to attend service related workshops from time to time. Please contact us for more information. Volunteers are always welcome and appreciated. Meals on Wheels Driver Uses car to collect and deliver meals to clients. Reports concerns to staff. At least 2 hrs once/month. The schedule is flexible and you can deliver as often as your availability permits. You can also request certain delivery days, i.e. every second Monday. Meals on Wheels Runner Assists driver with the delivery of meals to clients. Same as above. Board Member When positions become available – various skills needed on the Board (Accounting, Marketing, Human Resources, Fundraising etc.) Board meetings are held monthly. Additional hours as projects/committees require.